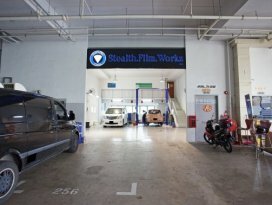 Stealth Film Workz, A young 3 years old company with a team crew working in the solar film industry with more than 8 years of experience, emerging as one of the fastest growing, highly rated 5 stars & highly referred solar film installer by their satisfied and return customers, providing high quality and LTA compliant solar film grade with workmanship assured. Couldn't ask for more with the kind of pricing as well. Great service! Value for money! A "real" solar film that truly works.